Keenan the Barber was born in Lincoln Nebraska, but reps the 706! Cutting hair is his PASSION, not his job. KB BARBERSHOP! 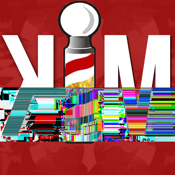 Keenan the Barber app is a one stop shop. Users can book appointments, unlock loyalty rewards, hear the newest music, and also find out what's the weekend move!